Artist Rieteka Geursen has created an intimate portrait of family life for a new exhibition opening at Newcastle’s Timeless Textiles Gallery in February. 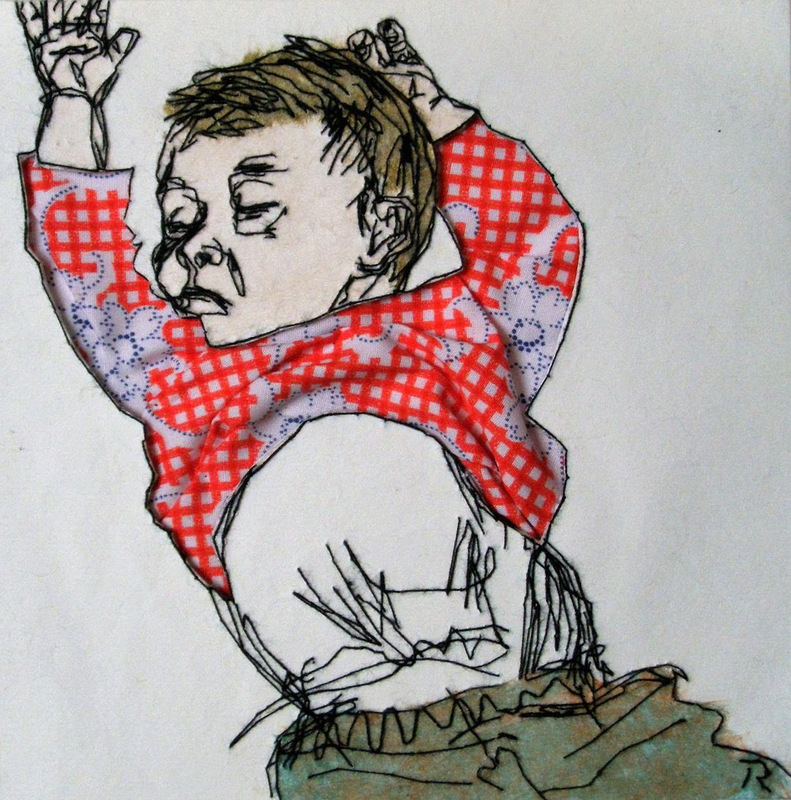 The works in the That’s my baby… exhibition are mostly thread drawings developed from sketches the artist has done of her young children. Sections are cut out and filled with another material to enliven the works with pattern and texture. In the exhibition artworks, Rieteka has been inspired by Japanese woodblock prints depicting domestic life and also pays homage to a series of books for 0 to 3-year-old children called That’s not my… The books teach children about texture, body parts and objects, with each story describing a mouse’s journey to find an animal or creature or, indeed, his baby. Rieteka’s artistic journey dispenses with the mouse, instead focusing on her children, Eloise and Aidan, and her husband Frank.